Barcode Trading Post focuses on providing a great customer experience with competitive prices. We carry one of the largest selections of used barcode printers in the industry. Our selection of used barcode printers include everything from legacy and out-of-manufacture equipment to some of the latest AIDC technology. The Barcode Trading Post certification includes functionality, cleanliness, and reliability. We certify each used printer to guarantee that you only get barcode printers that you can count on while also receiving a substantial savings. Below is a short list of some of our printers. If you need other models or configurations please fill out the form on this page. All products are available to ship quickly and come with a 90-day warranty. Extended warranties are available. LP 2824 Plus, Direct thermal printing, 203 dpi, 2.25″ max print width, USB and Ethernet Interfaces, Cutter, and US power cord. 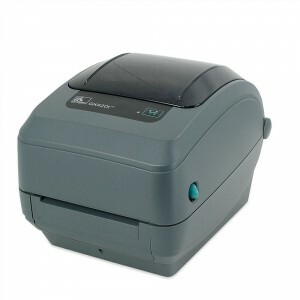 QL320 Plus, Direct thermal Mobile Printer (USB, 8MB/16MB, LCD, ZVR 802.11b/g, Linered Platen and Belt Clip). Power supply (Part# CC16614-G4) not included. Zebra GX420t – Thermal transfer printing, 203 dpi, 4″ print width, USB, Serial, Parallel Interfaces. Includes power cord and USB cable. GX420d, Standard features include direct thermal print mode, 4″ print width, 203 dpi, tear bar, LCD Display, RS-232 auto-sensing serial, 802.11b/g, USB 1.1, 4MB standard flash, 8MB standard SDRAM, PL2, ZPL II, USB cable, North America power cord. GC420t, 203 dpi, Thermal transfer, EPL and ZPL, USB, Serial, and Centronics Parallel, US Power cord, Dispenser/Peeler, 8MB Memory. RW 420, Mobile Printer (4 inch Printhead, LCD, 8MB/16MB, Bluetooth, Standard Media, Magnetic card reader/Smart card reader and Group N – DR.P). Power supply (Part# AT17696-1) not included. TTP 2000, TTP 2030 with USB interface. Requires paper guide, not included. See accessories.